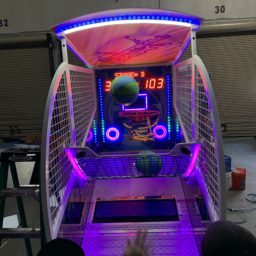 Basketball is a sport loved by many from all over the world. 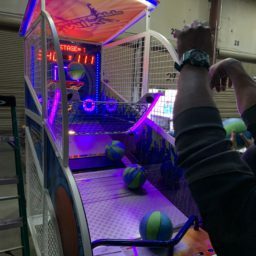 Historians note that the game of basketball was invented in 1891 by a Canadian physical educator by the name of James Naismith who wanted to create a sport that was less injury inducing than football. Immediately the sport was taken up and grew to be extremely popular at the turn of the 20th century. 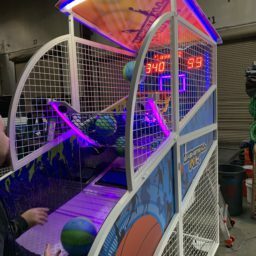 The sport became popular in American colleges and then the call for a professional league for the game eventually resulted in what is known today as The National Basketball Association or NBA. 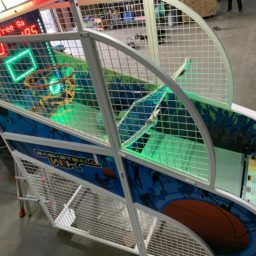 Fortunately, it is not a requirement to be an NBA player to be victorious at this arcade game, a basketball court is also not required which makes this a great entertainment rental for any occasion. 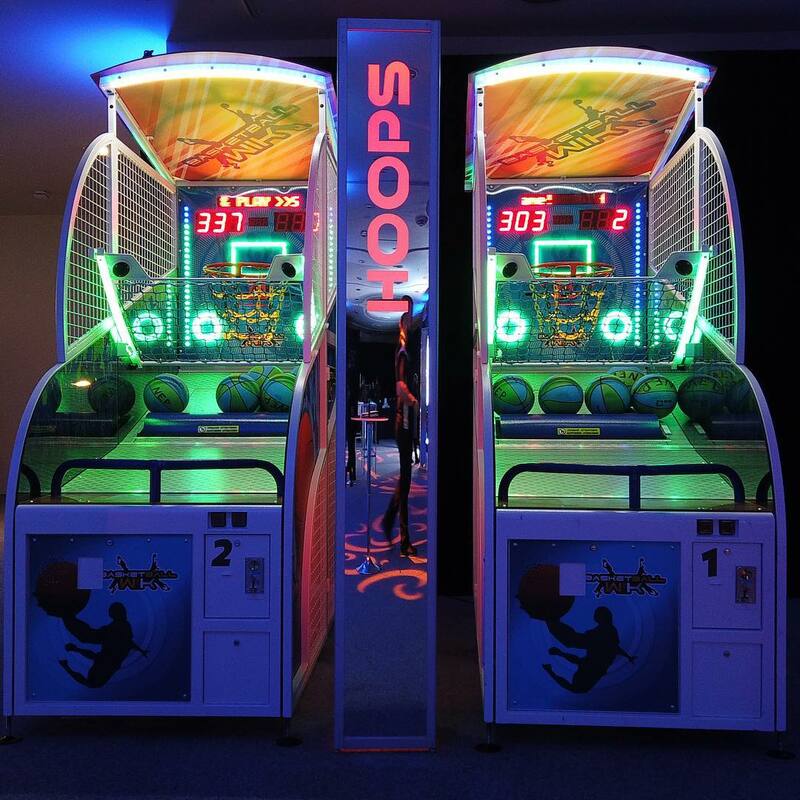 Our LED Basketball arcade game is the perfect futuristic take on the classic game of hoops. 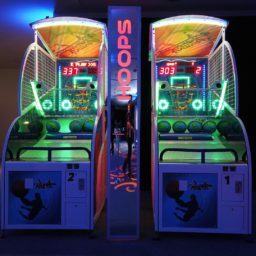 This rental item is great for any event where guests wish to enjoy a game of hoops without the court. 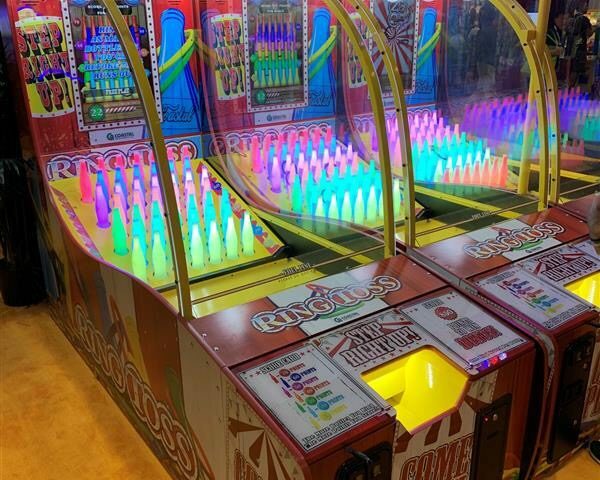 Now in a futuristic, bright, and compact, arcade game guests can practice their shootout skills in a whole new way. 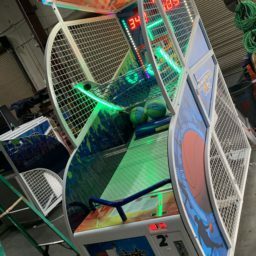 This is the perfect rental as a standalone attraction for guests or in addition to the rest of our collection of classic and LED arcade games in our collection. 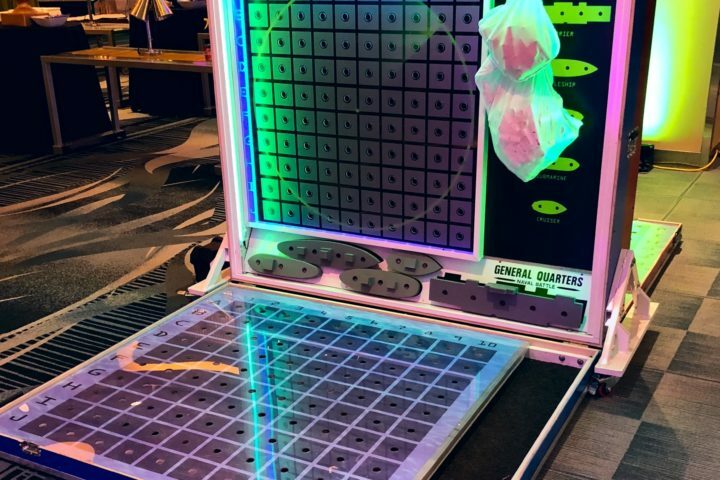 You can even take it to the next level and create your very own LED gaming lounge complete with all LED games, attractions, decor, and entertainment.